Most of you will have heard of the Timanfaya National Park in Lanzarote and probably been to the Montañas del Fuego attraction but have you visited the Timanfaya Visitors centre close by in Mancha Blanca? 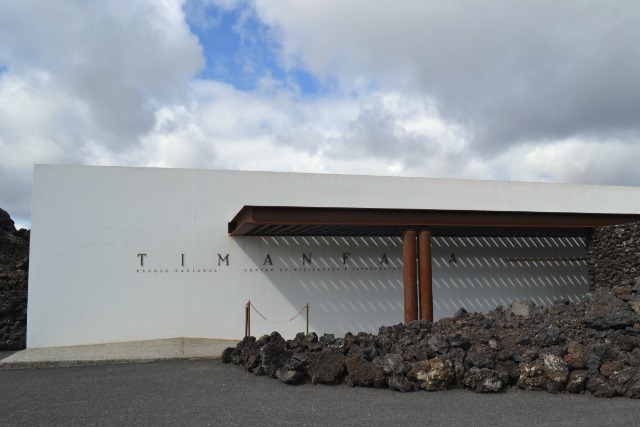 The Timanfaya Visitors Centre is free to visit, it is situated on the same road as the Montañas del Fuego simply drive towards the direction of Tinajo. 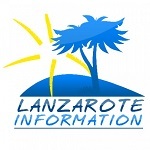 For anyone fascinated with volcanoes this is not to be missed, it is a beautiful centre packed full of information, facts and figures, not just about Lanzarote but general volcanology from around the world. The exhibition also includes a seismograph, meteosat and meteorological station. There are videos that can be watched in different languages, interactive maps and lots of displays to read. Some of the information was quite hard to understand, I’m not sure if it was due to the English translation or just that I have not researched the science behind volcanoes before. During my visit there was an announcement to see a simulation of a volcano erupting, I joined a group where we were led downstairs to a room in the basement. Not sure what to expect, the door was shut, the lights switched off and we waited in the darkness……. The simulation lasted a minute, there was steam and sulphur smelling smoke along with lights simulating the flowing lava and sounds effects, a theme park attraction it’s not – but it is worth seeing if there is an opportunity during your visit. There was an interesting old map of Lansarote as it was spelt from the 18th century showing fire enveloping the surrounding villages as the Timanfaya eruption claimed the land. At the back of the building is a viewing platform where you can see the expanse of the Timanfaya lava flow. Fans of Manrique will appreciate the design of this centre, it contains many of his traditional hallmarks. There are two English guided walks available from this centre, they have to be booked in advance online but again are offered free of charge. The Termesana route is 3km and Coastal route covers 9km.